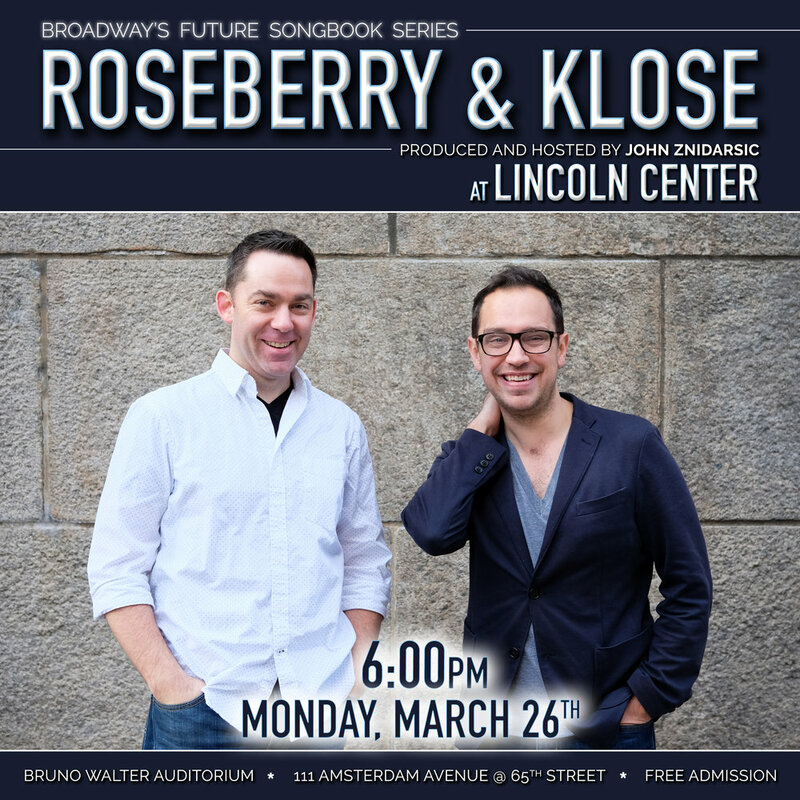 On Monday, March 26th, Roseberry & Klose will headline a concert at Lincoln Center's Bruno Walter Auditorium. This 90-minute show will feature music from the duo's two musicals, Picture Perfect and From The Ground Up. Our musical, PICTURE PERFECT, is being workshopped at AMTP (Northwestern University) in February, 2018, marking the first step in the show's development. Join us Monday, January 29th at 8:00pm for a 45-minute set of our music. We're presenting a handful of songs from PICTURE PERFECT, as well as a bunch of new material we've been working on. Ben on the keys, and some supremely talented friends at the mic.